• or maybe just to enjoy the fun! They could buy a Business, or they can become part of the Clickonit Consumer Network™. Members of The Clickonit Consumer Network™ are issued with a Membership Card and receive Cash Back from Clickonit when Clickonit or any Participating Partner of Clickonit is supported. Cardholders join Clickonit or any other Participating Partner as a Team Member. Cardholders have the choice to just receive Cash Back on own purchases, or to increase their income by building a network of new Cardholders. The Clickonit Consumer Network is based upon Network Marketing. Consumers are motivated to build a network of friends, family and other prospective clients. If you can not support Clickonit or any of it's Participating Partners, simply build a network of people that do. Clickonit is constantly adding Participating Partners to its Network. It just makes sense to become involved in the growing process. If you snooze - you lose! • Support and Advanced Training System by Clickonit (Pty) Ltd. This is no get rich quick scheme, but for those who put in effort, the return possibilities are enormous. The most important issue is to get into a habit to check who are the Participating Partners before spending and to present your “Clickonit Consumer Card”™ when supporting these Participating Partners. This makes good business sense why anybody that is serious about earning additional income would choose Clickonit as their business. Member companies of the South African Direct Selling Association (DSA) generated R10,93 billion in sales in 2015, up from R9,66 billion in 2014, That is an increase of 13.1% indicating the industry’s growth prospects even in challenging economic times. There can be no question that the direct selling industry assists enormously in creating income earning opportunities for anyone who has the desire to and is prepared to work. That is R10.93 Billion from the main stream – in the name of convenient shopping. By utilizing the Clickonit Loyalty Rewards Programme™, this revenue can return to the formal trade. Clickonit now acts not only as mediator for the business network, but also provides an online and offline platform for businesses and shopping networks. There can be no question that the direct selling industry assists enormously in creating income earning opportunities for anyone who has the desire and is prepared to work. The only barrier is self-motivation and commitment. You can to build a Consumer Network and earn money when the Consumer Network supports Clickonit or any other Participating Partner. 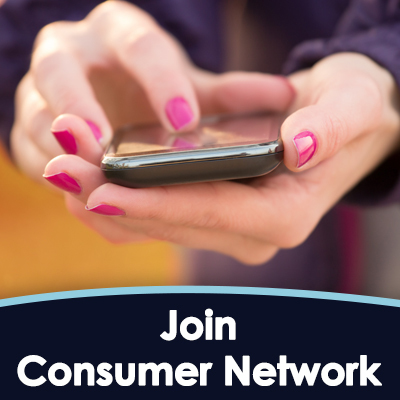 Then click on the "Join Consumer Network Free!" image below and we'll contact you. • Cardholders cannot recruit Participating Partners.